Larry D. Dixon, executive director of the Alabama State Board of Medical Examiners, will speak at the 12th annual Susan and Gaylon McCollough Medical Scholars Forum Feb. 7-8. From the January 2014 Desktop News | Larry D. Dixon, executive director of the Alabama State Board of Medical Examiners (ASBME), will be the featured speaker for the 12th annual Susan and Gaylon McCollough Medical Scholars Forum Feb. 7-8 in the Shelby Hall rotunda on The University of Alabama campus. The forum was established by UA alumni Dr. Gaylon McCollough and Mrs. Susan McCollough. It begins Friday, Feb. 7 at 3:30 p.m. with registration and continues Saturday, Feb. 8 at 9 a.m. with group discussions.  The forum is part of UA’s College of Arts and Sciences. Dixon will speak on “The Privilege of the Practice of Medicine” and “So You Want a Long Career?” during the forum. The event is free and open to the public. Dixon has been the executive director of the ASBME since 1981. He held prior positions as a drug education consultant for the State of Alabama Department of Education, education director for the Medical Association of the State of Alabama, an administrator for the Montgomery Family Practice Program, and director of the Jackson Hospital Foundation. An Oklahoma native, Dixon earned bachelor’s and master’s degrees from Washington State University. He also studied with the National Drug Education Training Program at the University of Texas School of Medicine, the Southeastern School of Drug Studies at the University of Georgia, and attended graduate school at The University of Alabama in health, physical education and recreation. Dixon also served as a member of both the Alabama House of Representatives and Senate, serving terms from 1978-2011. The McCollough Medical Scholars Forum is designed to give students an understanding of the importance of the scientific and humanistic aspects of healthcare. High school students, UA pre-health professions students, and past forum participants will join UA faculty from diverse disciplines for the event. 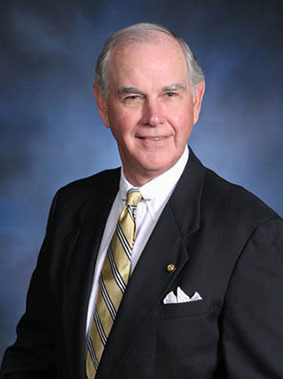 Gaylon McCollough is an Alabaman physician, the president of the McCollough Plastic Surgery Clinic, and the founder of the McCollough Institute for Appearance and Health in Gulf Shores. A 1965 honors graduate of the College of Arts and Sciences, he served as an offensive center for the Crimson Tide football team and was named to the All-American Football Team in 1964. Since entering the medical field, he has obtained recognition as a surgeon and teacher through his affiliation with the largest association of specialty plastic surgeons in the world.